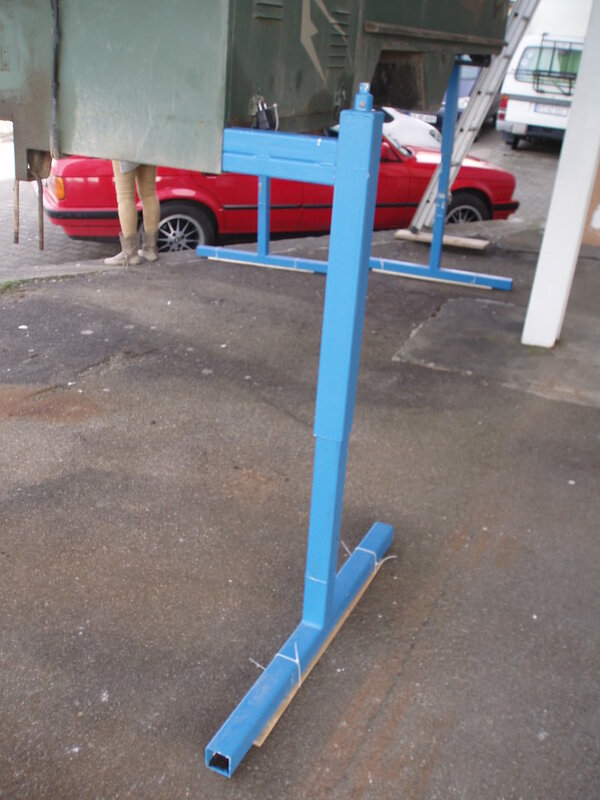 TGB 1314 Ambulance box lift height - THE PORTAL HUB - Pinzgauers, Haflingers, Volvo 303s and more! Does anyone know just high (in centimeters or inches) that a TGB 1314 ambulance box must be raised vertically to allow the 6x6 chassis to be driven out from under the box? After a ten year absence, I have reacquired an ambulance I had converted to diesel (OM617A). The previous owner had removed and sold the original box replace it with a beautiful flatbed. I have also purchased the original box. My plan it to take the truck back to original ambulance condition with the option to go flatbed status quickly. without removing tank trim and taillights should be ca.30-40cm you need to lift it up. Thank you for your response and the photo. Those blue lifting fixtures appear quite stout and stable. Well done! The information is greatly appreciated.